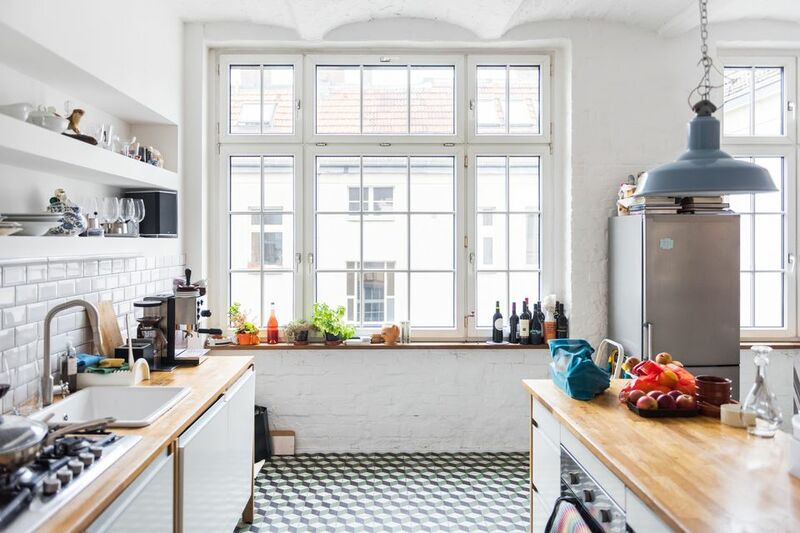 When moving into your first home, the kitchen may seem daunting, considering all the items you need for cooking, baking, and entertaining. If you are new to cooking, equipping and organizing the kitchen may seem even more challenging. But having the somewhat long list of tools and equipment broken down into categories should make the process of fitting your new kitchen a bit easier. To streamline the process even more, look to certain stores and cookware companies that have created starter kits that will suit most needs and budgets. These pot and pan sets and utensil bundles make it easier for people on a budget and first-time “on-their-own” apartment/home dwellers, who might find choosing each item separately a bit overwhelming. Before you can actually begin the cooking process you need to prep the food that is going to be cooked. And this prep requires several tools, from knives and cutting boards to measuring spoons and cups. Depending on what level of cook you are will determine how many tools and gadgets you need, but there are definitely several necessary basics you should purchase. A set of mixing bowls plus measuring cups and measuring spoons are a must, and it is important that you buy both dry measuring cups and liquid measuring cups; using a dry measuring cup for a wet ingredient will result in an inaccurate measurement, and vice versa. Other food prep essentials are a cutting board and set of knives. You want to get quality knives that feel good in your hand and will last; this means you may have to pay a bit more, but a sharp knife that you can easily use is indispensable in the kitchen. You also want a range of sizes and some that are serrated and some that are not; how many knives you will use will depend on the type of cooking you will be doing. When it comes to cutting boards, it may seem like they don't differ too much from one another, but there are actually some features to look for. Pick a sturdy board that has a no-slip feature; these are usually plastic. Wooden cutting boards are nice to use for bread, but since the material is porous should not be used for cutting raw meats. They can also be harder to clean. Much food prep relies on certain gadgets, like a vegetable peeler, can opener, and grater and zester. If you are an avid cook, you may also want to invest in a garlic press, citrus juicer, immersion blender, and salad spinner. Whether a full set or individual pieces, pots and pans are required in the kitchen (unless you will only be cooking in the microwave!). It is best to have a range of sizes, including a 10- and/or 8-quart stock pot, a 5-quart pot or dutch oven, and a 2 and/or 1-quart saucepan. All of your pots should come with lids. There are a few choices when it comes to the material of the pan—from anondized to copper to stainless steel to non-stick; choose what fits into your lifestyle and budget. Just make sure the pans are sturdy and built to last. From frying eggs to stir-frying rice, a skillet or frying pan is an indispensable tool. Having both an 8- to 10-inch as well as a 12- to 14-inch skillet, and perhaps making at least one of them nonstick, is a good idea. Whether making lasagna, baked mac-n-cheese, or scalloped potatoes, you will need a casserole dish of some kind. It is wise to purchase a couple different sizes of either porcelain, glass, or stoneware. You may or may not be a baker, but there are certain items that will serve you well in your new kitchen that fall under the bakeware category. Cookie sheets (without sides) and baking sheets (with sides), for example, are for both baking and cooking. You can use them to make chocolate chip cookies, roast vegetables, bake breaded chicken, and roast a piece of salmon. The benefit of a cookie sheet without the edge is that you can easily slide off the finished cookies. Baking pans, cake pans, and muffin tins do make sense if you are likely to whip up a batch of brownies, a birthday cake, bake sale cupcakes, or breakfast muffins. Whether you stick them in a pitcher on the counter or organize them in a drawer, various utensils are crucial to a well-run kitchen. Wooden spoons, spatulas, whisks, a set of tongs, a soup ladle, rubber scrapers, and a slotted spoon are all smart tools to buy, some of them in multiple sizes and materials. For example, purchase several wooden spoons of different lengths, a few spatulas made of different materials. You will also need a colander for rinsing rice, picking through dried beans, and of course for draining pasta. If you think you'll be making mashed potatoes and guacamole often, having a potato masher on hand is a good idea. While your new kitchen most likely comes with the major appliances, like an oven and refrigerator, it most likely won't come fitted with the smaller ones. Plan to purchase a coffee maker, tea kettle, blender and/or food processor, and hand or stand mixer. And, of course, if your kitchen isn't fit with a microwave, that should also be on the list. Once you finish cooking, you will need to eat it with and on something. Invest in a set of dishes and cutlery, as well as a set of drinking glasses and mugs. A cutlery divider for the drawer will also make life easier. From oven mitts to the garbage can, there are several kitchen items that you can't do without. Add these to your shopping list, plus dish towels, food storage containers, and a dish drying rack or drying pad. Also don't forget cleaning supplies such as dishwashing soap, multipurpose cleaner, oven cleaner, sponges, rubber gloves, and paper towels.